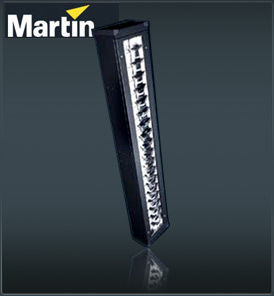 The new Martin Stage Cyclo from Martin is a robust color-changing effect light that effortlessly provides a clean, even distribution of light. With simple operation, a powerful output, zero heat and zero noise pollution, the Martin Stage Cyclo is perfect for studio and theater sets. An in-built and protected dip switch panel enables fast addressing of each fixture.